There’s never a good time to accidentally lock yourself out of your car, home, or office. When you do, however, just remember there’s never a bad time to call JB’s Lock & Key LLC in Winston-Salem, NC. 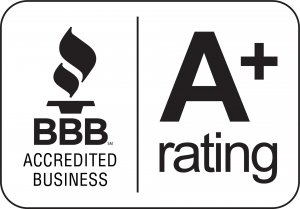 With more than 20 years of industry experience, it’s safe to say we’re good at what we do. We’re also fast, which is what our customers rely on the most. Anytime you accidentally lock your keys in the car or inside your home, or you forget your keys to the office, our emergency locksmith will be there to help get you back in. We use state-of-the-art locksmith equipment that won’t cause any damage to your auto, residential, or commercial doors. One of our mobile locksmiths will respond to your call as fast as they possibly can, no matter the situation. Whether you need auto lockout service, a new lock installed after a break-in, or home re-keying service, we’ll come fully prepared for the job at hand. Plus, we won’t leave you waiting like our competitors would; our family-owned and operated business will make sure your emergency locksmith needs are taken care of quickly for your safety and peace of mind. And, as a mobile locksmith, we come to you! If you’re in Winston-Salem, NC, call JB’s Lock & Key LLC today for emergency mobile locksmith services!